Dr. Dena Costa specializes in obstetrics and gynecology with an interest in high risk obstetrics, contraceptive management and adolescent gynecology. She earned her undergraduate degree at Northwestern University and her medical degree from Washington University in St. Louis. She completed her residency at Mercy Hospital in St. Louis. 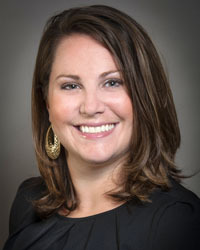 She is also trained in various techniques of minimally invasive gynecology, including daVinci robotic surgery.